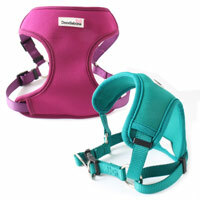 The X-Over Dog Harness by Doodlebone has a clever cross-over design for comfort and support. 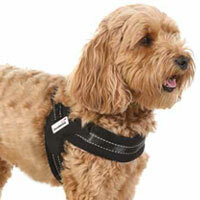 The chest plate adds extra comfort for your dog. 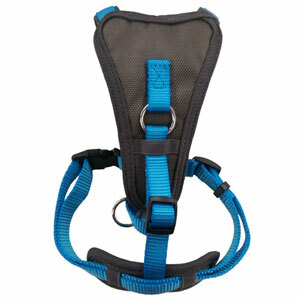 Harnesses are a great way to reduce the pressure on your dog's neck on walks. 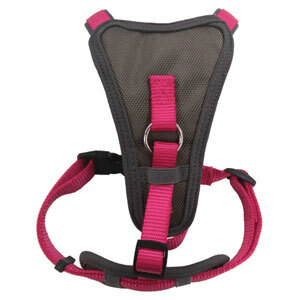 This X-Over harness with chest plate distributes the load evenly, meaning less strain on your dog's neck and shoulders. It also gives you more control on the other end of the lead. Reinforced nylon webbing gives strength and durability. 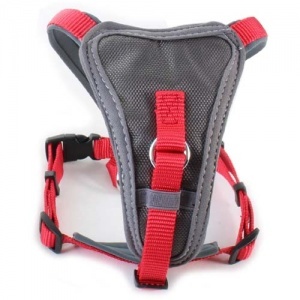 There are two length adjustment sliders on the harness - one on the chest plate front strap and one on the girth strap. Neoprene padding on the support straps for extra comfort. 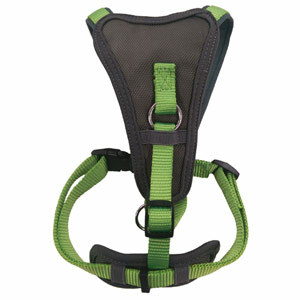 There is a solid metal O-ring for lead attachment on the back of the harness and a sturdy clip fastening on the side. 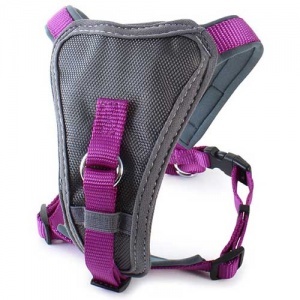 Designed for dogs who need a little extra room when it comes to fitting harnesses over the head. 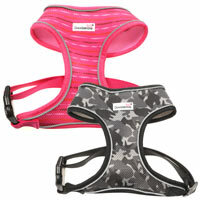 These harnesses are designed for small / medium sized dogs. 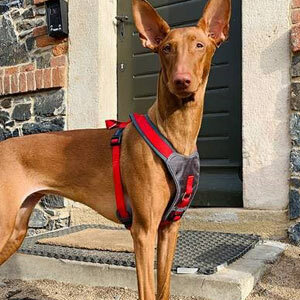 Place the harness over the dog's head and one leg through the strap. 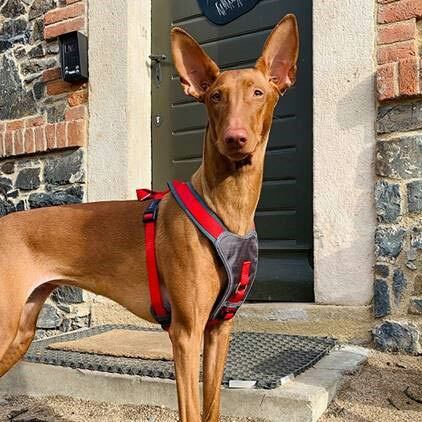 This item is quality tested to the highest standard to ensure the safety of your pet and the manufacturer offers a lifetime warranty on this item (covering manufacturer defects e.g. the harness snapping, colour bleed, buckles breaking etc... that is not normal wear and tear).